"I have recommended this dr. to a few people who have signal up with him." "Dr Reyes is understanding and has developed a good understanding of my needs after 3 years." "Dr. Reyes is an outstanding care provider in most all ways possible." "I had been with another doctor in this practice before it was Northwell. The doctor was very friendly but also it was obvious this doctor was a party person. I did not know what to do. How do you change doctors in the same practice??? When this doctor left for another practice it was an answer to prayer. I am so happy with the doctor I am with now"
"Dr Reyes is very patient and thorough. I would certainly recommend him to anyone seeking a primary care physician in the Smithtown area." "if it weren't for Drs. at Northwell Health I would never had known I have Hodgkin Lymphoma. They helped save my life!" "First visit with Dr. Reyes. Usually see Mona N.P. whom I love and have been seeing for many years, but she was on vacation. Very impressed with Dr. Reyes, and would request him if Mona is not available again." "Excellent follow up. 8. Incredible. 9. Fantastic. 10. I have. " "I think it is wonderful that when blood work is done or any test that I get a call with the results. With the precious the doctor she would wait until the next visit to give the results. Also with Doctor Reyes if I call with a question that I feel should wait until the next visit, I do get called back with the info." "Always happy that I can see Dr. Reyes. He is always concerned and very helpful." "I have recommended Dr. Reyes as well as this Northwell Health office. Everyone is friendly, professional and very caring." "Dr. Reyes is really great. He spends as much time as you need with you and actually remembers who you are." "The doctor was very helpful and knowledgeable." "Good man. IF I have a concern, it is why so many DO's are going into family practice. My last doctor was also a DO doing FP, and he wasn't very good, honestly. Dr. Reyes did a much better job." 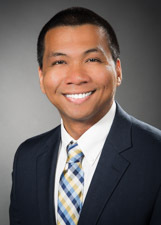 "I am very please to say how glad I am to now have Dr. Reyes as my primary doctor. I feel I am much better hands." "Dr. Reyes is amazing I had my father in law switch to be his patient from another practice!" "Dr. Reyes is very easy to talk to. He asks many questions about your health. He makes you feel very comfortable. I really am happy to have him for my primary care doctor." "Dr. Reyes is extremely personable. " "When my previous doctor left to go to another practice I was very happy. The doctor was a very lively and friendly person but not what a wanted as a doctor. I was then asked if I would be give Doctor Reyes new to the practice a try and I said OK. I am so glad that I did and feel very confident with Doctor Reyes in the way he handles all things for my care." "Staff/personnel are very professional and knowledgeable." "Would refer friends & family to Dr. Reyes!!!" "I have been a patient of this practice for over 30 years. I always recommend it to anyone that asks. My husband is now a loyal patient and our daughter will sone be as well." "My confidence having Dr. John Reyes is very positive, I would recommend him to all my family & friends. He is very knowledgeable & caring!" "Dr. Reyes is the best. My whole family comes to this office." "I would gladly recommend my doctor to even my own family who does not like their current doctor. my new doctor is kind, courteous, thorough, and knowledge. he will do great for others." "Dr. Reyes is a great doctor I would definitely recommend my family & friends become a patient of his." "Dr. Reyes is very concerned, caring and never rushes through the visit I have not had a physician in over 20 years now I do. Because of Dr. Reyes care and concern feel blessed to have found him." "I was very impressed that I saw Dr. Reyes after having someone else in the same practice that left for an another medical office for the first time that he had reviewed all my records prior to my appointment." "He is new for me and will see. After my last mishap with my medicine that was given me I am nervous. He (my new doctor) seems to have my pressure under control." "I am looking to having Dr. Reyes care for me as I get older & older. He is so thorough, competent & compassionate. Excellent experience. He gave my very good advice regarding a new medication. " "decent doctor who always takes care of my needs"
"I like Dr. Reyes. it was very difficult coming from another office in Nassau County where I had been going for 25 years. Dr. Ray's was very welcoming and very thorough and going over my medical history. When I had a problem, it was addressed immediately and taking care of. I couldn't be more pleased." "I usually see Dr. Dragone, I have seen Dr. Reyes a few times & have already recommended him & 5 people went & are very happy with him." "Very patient - patient is hard of hearing." "The doctor did talk very fast and said a lot. Maybe he can slow down next time." "Dr. Reyes is an excellent doctor, very thorough and caring. Would definitely recommend him to family and friends!" "Lost my primary care due to insurance reasons. Was glad to get mr. Reyes as new primary care." "Dr. Reyes is a warm, calm & friendly provider. Always attentive." "I was with another doctor for several years and although I very pleasant person I was not completely happy. This doctor left to pursue their career at an other practice. God works in mystery ways because now I am with Doctor Reyes who is of a friendly nature but at the same time I feel I am with a better and more caring doctor that I feel more comfortable being under his care." "Dr. Reyes is an excellent doctor. Always takes the necessary time with me. I have referred often to others." "Very good doctor. Not very personable." "I wouldn't hesitate to recommend Dr. Reye's. He is extremely thorough, and very knowledgeable"
"I have already recommended Dr. Reyes to others." "Dr. Reyes is one of the best doctors I ever met. Being new to the town and having to find a new provider, I am glad I found him. He is very professional, polite, and respectful with great bedside manner. He spent adequate amount of time with me about 30-40 mins for physical. He is very compassionate and caring in which he takes his time answering all my questions, making sure I understand them completely and comfortable with the labs and test being ordered. I would definitely recommend him to all my family and friends." "Again it's hard to imagine the number of patients and different cases they care for. I admire a team that works well together." "My fist time going to Dr. Reyes. He was great and informative." "Dr. Reyes was very professional. I liked him and would go to him again." "Dr. Reyes was very thorough and spent about a half hour with me. I never felt rushed at all throughout the entire appointment. He is very friendly, personable, and easy to talk to."